I listen to an awful lot of music every day, it’s my job and responsibility as a radio presenter. But most of all, it’s a labour of love digging out interesting stuff, making new discoveries in all directions. The end of the year makes me think of my ultimate favourite tunes, which is never an easy thing to do. However, here’s some kind of a Best Of list with some records and artists I especially enjoyed in 2018. Some of you are probably familiar with Lenker as a guitarist and vocalist in Brooklyn-based indie rock band Big Thief. Her full-length solo record is a stripped-down singer-/songwriter approach and with this, she’s covering intimate emotions on her stroll along the abyss. In a way it’s hauntingly intense, but nevertheless comfort for your soul. Adrianne Lenker shows a subtle, otherworldly brilliance with her light fingerpicking on acoustic guitar while her songs are thoughtful, deep and poignant. And with this combination, there’s a true affinity to other outstanding artists like Judee Sill or Connie Converse. Sometimes it’s true: great art comes from great pain. Adrianne Lenker has quite a history with being born into a religious cult and she almost died, when a railroad spike crashed her skull as a kid. And she managed to create something special in the wake of the tragedy, just like Caleb Campbell alias Ari Roar. The Texan singer-songwriter struggled with panic attacks from early on. As a late teenager, he had an operation on the spine, which left him bed-bound for months. Of course, these experiences have an impact. And in this case, he’s doing the best by channelling it into beautiful melodic lo-fi pop. The sweet miniatures on Calm Down might sound effortlessly in the first place, but there’s something else underneath the surface, with traces of doubts and fear. It’s a glorious debut for repeat listens. This band provides a compelling sound by picking up familiar indie rock in a modern way. They create something fresh and interesting and already got a lot of praise here in my blog. If you like passionate, bright guitar music from the 80ties and 90ties, you should listen to this one. Whenever there’s a new Field Music record, it always ends up in my top ten of the year. Again, the spacious production on Open Here is exquisite, the compositions are intricate and classy. Field Music are ambitious, but they have all the knowledge and the talent to follow their visions. It’s a beautiful and well-crafted record that needs to be heard, because it has something to say. Maybe it’s all a bit too smart to reach the big crowd – but I’m sure the time will eventually come and Field Music get all the praise they deserve. They like to go under the banner “baroque pop”, but there’s so much more to discover in the music of Lake Ruth: from folk to jazz to avant-pop. I’m a fan of Matt Schulz since his days with Enon – he’s an excellent, versatile drummer. And singer Allison Brice, she has a way of phrasing her poetic lyrics in meandering harmonies like no other. All backed-up by a multi-layered smooth texture with a slight vintage touch. Lake Ruth are quite unique doing their own thing, and Birds of America is nothing less but an awe-inspiring masterpiece. Undeniably, these guys know how to sing! And the harmonies all perfectly meld together. It’s a special quality that only happens, when siblings start a band. The family sound is so intriguing because the harmonies are amazingly organic. Music history is filled with such examples and just like Field Music, the Shy Boys are band of brothers, supported by a couple of best friends. I summoned up a rave review earlier this year in my little blog here. This singer-/songwriter is a terrific talent. And again, we have an artist here, who knows a lot about the dark stuff in life. Stephen Steinbrink was left devastated after a fateful fire during a warehouse party in Oakland, California that killed 36 people in December 2016. After a couple of months stunned with grief, Steinbrink quit a minimum wage job, locked himself up in a shipping container with all sorts of music equipment, stimulated by a daily diet of LSD. And the songs started pouring out of him. Utopia Teased sounds a bit different, less perfect than his previous records. It’s a bit more daring with field recordings and synthesizers, but again it’s a collection of beautiful songs with substance and a hidden treasure for eternity. This is a very fine piece of work from Berlin, but made with love in LA. It feels like Niklas Kramer had a very clear vision for his new Still Parade album and he obviously put a lot of effort and thought into it. It sounds warm like a cozy blanket and puts the listener at ease. Of course, the Beach Boys influence is evident, but in a clever way. Smart harmonies combined with a startling sense of intimacy, and the formidable production brings out a nice vintage flair. It’s the kind of music that makes the world a better place. Sometimes, that’s just what you need. Yes, I am repeating myself here – I already picked this album for my Best Of list two years ago! Back then, I received a promotional copy from the band directly. Thankfully, it just got a proper release via Skeleton Key because this sublime debut is really exceptional. It’s a beautiful collection of hazy late 60s, early 70s inspired folk and pop, combined with a gentle nod to British psychedelia. Treat yourself & give it a listen, if you’re not already familiar with this. The Fernweh demonstrate an exceptional level of song craft and the record deepens with every listen. Tony Molina is deeply rooted in 60s songwriting and DIY aesthetics. With Kill The Lights, he created a truly glorious pop record by offering 10 tracks in under 15 minutes. His sensitive songs are infectious and short to the point. Just like Ari Roar, Tony Molina is able to put it all into a 60-second song and I never get tired of listening – again and again. This really is a lovely, but as well soul-baring record. Why should I be interested into these reissues when I already have all the vinyl of Teenage Fanclub in my collection? Well, guitarist and singer Raymond McGinley of the band explained to me: back in the 90s, the vinyl was just a copy of the CD. But if you want the best vinyl sound, you need a special mastering. That’s basically, what Teenage Fanclub did: they took the original master tapes, worked through all of them at Abbey Road Studios and improved the mastering for this new vinyl edition. And it really does make a difference, especially the new pressing of 1993s Thirteen is now more immediate and has a much better dynamic. Also, each essential album includes a bonus seven-inch single, mostly of tracks which originally appeared only on CD singles and EPs. To promote all these reissues from the Creation era, Teenage Fanclub played a very special concert series in Great Britain. Here’s my review of the nights in Birmingham and London, which also marks my concert highlight of 2018. Frequent listeners of my radio show already know about SUPER 8 – Paul Ryan a.k.a. Trip got a lot of airplay in 2018. Not only, because he put out a lovely mix of guitar pop as a one-man-band with all sorts of instruments like cello and trumpet. He also managed to surprise again and again with new top material. Three homemade full lengths were released this year on Futureman Records and it’s hard to pick a favourite album really. Each release is kind of special and filled with a laid-back and sunny charm. Backed up now and again with some thoughtful songs and well-curated cover versions. It looks like SUPER 8 will be back in 2019 with a more acoustic-based album – a thing looking forward to! Sind alle Weihnachtsbriefe in der Post? Tante Erna nicht vergessen? Kekse gebacken? Baum geschmückt? Lichterkette intakt? Geschenke verpackt? Wohnung auf Vordermann gebracht? Glühwein angesetzt für die Firmenfeier? Kuchen für den Kindergarten? Wichtelgeschenke für die Schule? Welches Menü wird serviert? Ofen kaputt, was mach ich jetzt mit der Gans? Sitzen noch Veganer mit am Tisch? Alle Jahre wieder werden die Tage kurz vor Weihnachten noch mal richtig hektisch. Laut einer britischen Studie verbringen Hausfrauen (von Hausmännern ist in besagter Studie nicht die Rede) im Schnitt 288 Stunden mit Weihnachtsvorbereitungen. Das sind ganze 12 Tage und Nächte! Deshalb hat Golden Glades heute mit Goodbye Stress ein tiefenentspanntes Musikprogramm zusammengestellt. Ganz ohne Weihnachtsgedöns, einfach nur so zum Runterkommen und Absatteln (und natürlich nicht nur für Hausfrauen). Zartschmelzende Unterstützung gibt es u.a von Steady Holiday, Angelo De Augustine und Ben Watt. Diese Sendung war zu hören am Mittwoch, den 19.12.18 – 20:00-22:00 Uhr. Um sich optimal auf das frische Jahr einzustimmen, präsentiert Golden Glades heute Musik rund ums Jahr: ein Lied zu jedem Monat, eine Ode zu jeder Jahreszeit. Wir erleben im Schnelldurchlauf, wie die Erde auf ihrem Weg um die Sonne etwa 940 Millionen Kilometer zurücklegt, und begegnen dabei so unterschiedlichen Zeitgenossen wie Monomyth, Matt Pond PA und Sound of Ceres. Monomyth New Year's Resolve Mint Rec. Die Sachlage ist eindeutig: Es ist August und wir haben Sommer. Mit entsprechend unbeschwerter Leichtigkeit manövrieren wir uns durch die heutige Ausgabe von Golden Glades, es gibt Musik zu den Themen Sonne, Sand und Salzverlust. Diese Sendung ist zu hören am Mittwoch, den 03.08.16 – 20.00-22.00 Uhr. Wdh. 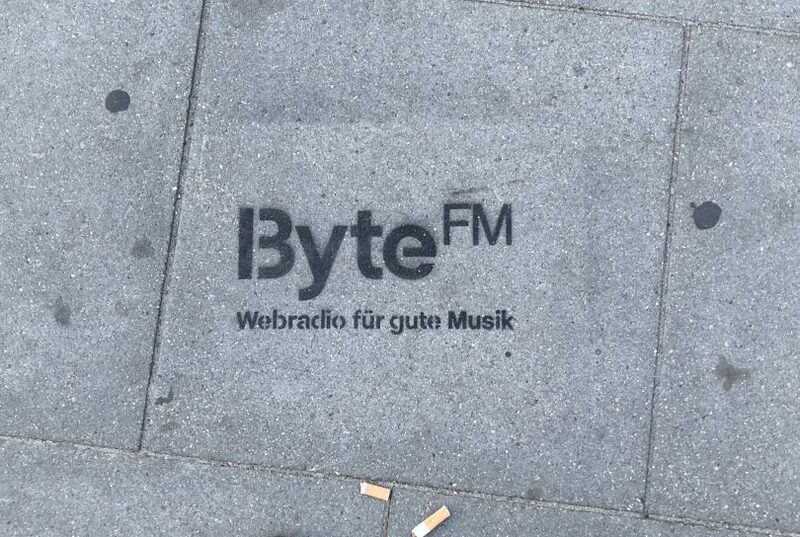 : sonntags 10.00-12.00 Uhr auf: ByteFM und 917xfm. Coastgaard Dear Nessie Entertainement One U.S.
Jonathan Richman That Summer Feeling Rounder Rec. Forscher der Universität Cambridge wollen herausgefunden haben, dass es einen Zusammenhang zwischen den Musikvorlieben und der Persönlichkeit eines Menschen gibt. Demnach lassen sich drei Typen unterscheiden: Gefühlsmenschen, die romantische Musik bevorzugen (Typ A); Systemiker, die es in der Musik gern intensiv und verschachtelt haben (Typ B); zuletzt die Ausgewogenen, die die Extreme meiden und auch musikalisch nach Balance trachten (Typ C). Sandra Zettpunkt wusste das alles schon vorher und bringt in der heutigen Golden Glades-Ausgabe ein gut austariertes Programm für Typ C: Mellow Tunes und Avant-pop, Rock und Elektronica. Diese Sendung ist zu hören am Mittwoch, den 22.06.16 – 20.00-22.00 Uhr. Wenn der Frühling kommt und von den Bergen schaut, vollziehen sich in der Tiefebene grausame Rituale (das wusste schon Strawinsky). Unsere Moderatorin Sandra Zettpunkt hat daher ein Mixtape zusammengestellt, welches die Gemüter ein wenig beruhigen soll. Dies ohne viel Gerede. Zur potentiellen Entspannung der Lage tragen bei: Sound of Ceres, Sunflower Bean und Homeshake.